Diplo is known for wearing a lot of hats. He’s a DJ, producer, songwriter and rapper who is the co-creator and lead of Major Lazor as well as one-half of the group, Jack Ü, with Dubstep king Skrillex. 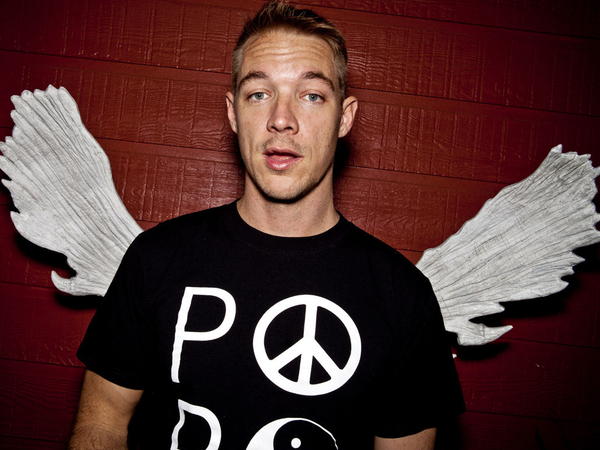 His label, Mad Decent, has released music by the likes of Santigold, Gucci Mane and Lil’ Jon, and on top of all that he still finds the time to gather amazing artists to create top-notch mixes on his late night BBC Radio 1 and BBC Radio 1Xtra set, Diplo and Friends. Here are FIVE mixes that if you haven’t heard already, well, let’s just try to change that today. 22-year old Norwegian musician, Peder Losnegard, aka LidoLido, and now just Lido, had already gained popularity in his home country after releasing his first track, The Good Guy Mixtape, and has been on the rise ever since. He has opened for major acts including rappers Bun B and Talib Kweli, as well as Beyoncé, and his mix features his original mixes off his “I Love You” EP along with some dope remixes. His remix of Bill Withers’ “Ain’t no Sunshine” is enough to give this entire mix 5-stars. This eclectic mix comes from the Chicago-native artist who goes by his pseudonym, Different Sleep. He mixes trap with lounge that creates a mix perfect for either vibing or chilling. Soulection is a music label, radio show and a collective of DJs, Producers and artists from across the world dedicated to making sure your ears are constantly blessed with the smoothest and livest mixes and remixes. With artists like Ta-ku, Sango and Kaytranada, they are making waves in the music world right now, both online and off, and this much anticipated mix definitely lived up to the hype. The dynamic collab between Diplo and Skrillex create a mix that is as hype as you can imagine. From beginning to end is an electronic mix of your favorite Trap tunes that will literally have you moving for the entire 2 hours.